Morgan Taylor is fast becoming a favourite nail polish brand of mine. Their polishes are excellent quality and the shade range is stunning. I've never bought mini polishes before, but when I saw this box of Cinderella Collection minis, I just had to have it! 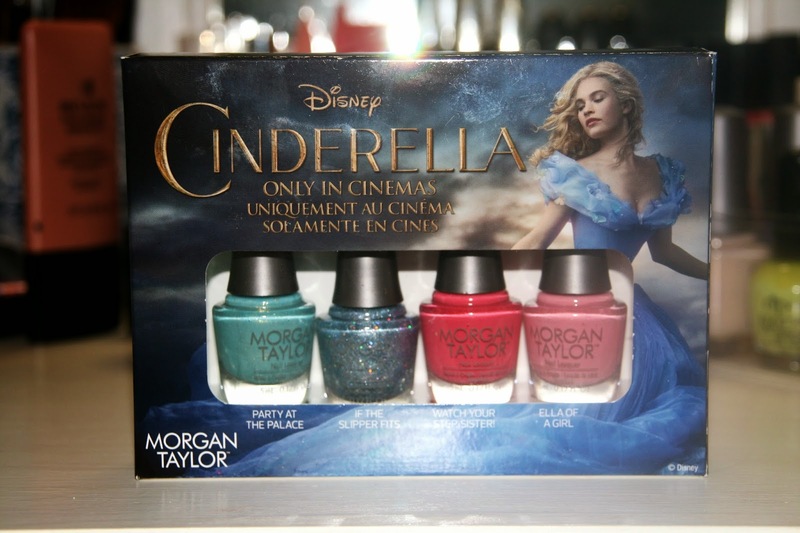 Cinderella was one of my favourite childhood stories (the other one being The Little Mermaid), so I am thrilled that Morgan Taylor brought out a nail polish collection to coincide with the release of the Cinderella movie (which I have yet to see). The boxes of minis absolutely flew off the shelves once they hit stores, and I'm not surprised. Although the set doesn't contain the entire collection, you still get to try four shades for the price of two full sizes shades. Let's be honest, no one ever finishes a bottle of nail polish anyway, so you might as well just get a couple of minis! I haven't seen the minis in store for weeks, and I assume that they're sold out. If you didn't manage to get your hands on them, don't fear, as the full sized bottles of the collection are still available at Dischem and Sorbet. From left to right we have "Party at the palace", "If the slipper fits", "Watch your step, Sister! ", and "Ella of a girl". The colours are all pretty and whimsical, and transport you to a ball at the Palace. "Party at the palace" is a difficult colour to explain. It's sort of like a duo-chrome turquoise, and looks golden when the light hits it. It's really pretty and photos don't do it justice! "If the slipper fits" is a sparkly party shade. It's a grey, silver colour with small and medium-sized glitter. I love the colour but didn't get on with the polish itself. Glitter polishes normally last long on my nails, but this chipped within two days. The two pink colours in the collection really stole the show for me. "Watch your step, Sister!" is a soft, creamy watermelon pink with no shimmer or glitter. It applies beautifully and looks incredibly chic. "Elle of a girl" is a soft and creamy baby pink. It also applies like a dream and is, I think, my favourite of the collection. I'm not normally a candy floss pink kinda gal, but to me this just looks fun and cheerful without being *too* pink and girly, if that makes sense. 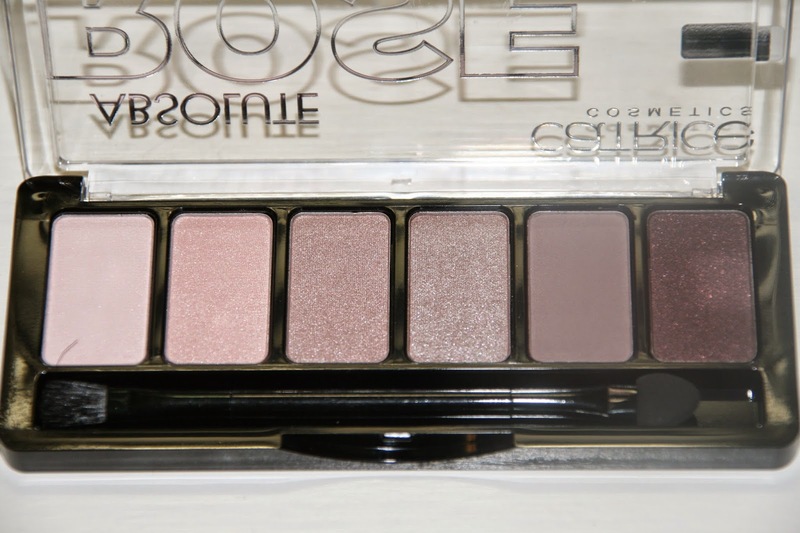 Have you tried these shades? Which shade was your favourite? Let me know in the comment section. I read Tori from Kiss, Blush & Tell's 40 Questions Beauty Tag the other day and felt inspired to do one of my own. I love reading other people's answers and I hope you enjoy reading mine! I have oily combination skin: oily T-zone and comfortable cheeks. I am a bit of a facial cleanser junkie, and am currently trying to get through all my half-opened cleansers. In the mornings (and as a second cleanse at night) I use the NUXE Aroma-Perfection Purifying Cleansing Gel, and at night I use the Balm Balm Frankincense Facial Balm followed with a warm facecloth. Yes. I mostly use a Glycolactic exfoliator. I'm not a fan of overly scrubby exfoliators on my face as it leaves my skin red and irritated and I can feel the damage that's being done. Glycolactic or enzyme exfoliators are the way to go! I love REN for their Glycolactic Radiance Renewal Mask, and Placecol does a brilliant enzyme exfoliator, can't remember the name now (I think it's called the Gentle Exfoliating Serum). I sometimes use the Uriage Gommage Intégral Gentle Total Exfoliant in the mornings. 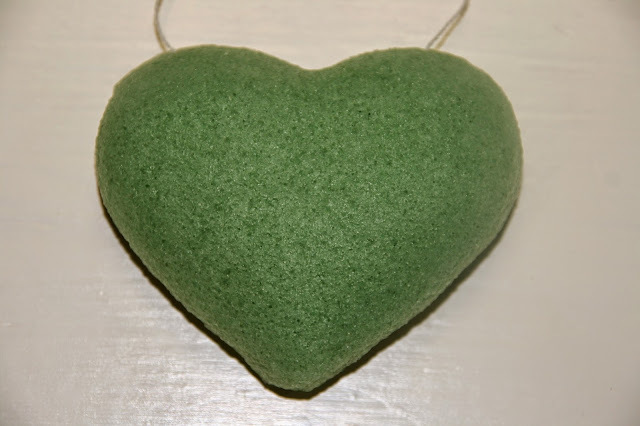 It's a "scrubby" exfoliator, but very very gentle. I normally use the Clarins Multi-active day cream, but am currently using the Sorbet Day Cream. Will be reverting back to the Clarins shortly. Sometimes… I can never tell if my eye cream is making a difference so I tend to stop using it after a few days. I'm currently using the Origins GinZing Refreshing Eye Cream which contains a bit of a tint too. It temporarily makes you look more awake, but I don't know if it has any long-term benefits. If you've never done it, try hot cloth cleansing. All you need is a non-milk cleanser (balm, oil, gel), a clean face cloth (I buy packs of three baby face cloths at Ackermans), and warm to hot water. Massage the cleanser into DRY dirty skin, then remove it with circular motions with the hot cloth. Spa treatment in your own bathroom! Plus, it provides extra exfoliation for your skin! I'm more of a BB cream wearer, but I sometimes like wearing foundations at night. 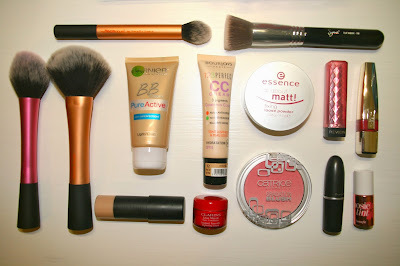 I like the Bourjois Happy Light foundation as well as the Max Factor Skin Luminizer Foundation. I'm really enjoying the L.A. Girl Pro Concealer as well as the Rimmel Wake Me Up concealer. Not sure… If anyone can tell me that would be great! Yes. I do however believe that every situation is different and that not all mascaras will suddenly go bad after the 90 day mark… If my mascara ever smells funky or makes my eyes burn, I chuck it immediately. Otherwise I'll happily use it for a few months extra. Currently I'm using essence (Lash Princess) but otherwise I love Maybelline's mascaras. Eyeshadow! I am obsessed and can't stop buying eyeshadow palettes. Mostly brushes, but sometimes my fingers or my Beauty Bay sponge (I got if free with an order and it's actually pretty good). I love the Real Techniques Buffing Brush (foundation or BB cream), Contour brush (concealer), Setting brush (setting powder), and Blush brush. I also like the Sigma E25 eyeshadow brush, as well as a couple of super cheap Cala eyeshadow brushes (R29,95 each, I mean!). Yes. No matter how good the quality of my eyeshadow, I always need to prime first as I have extremely oily eyelids. My current favourite eyeshadow primer is the NYX HD eyeshadow primer. Most days. When I'm wearing BB cream I'll sometimes use a primer, but when I'm wearing foundation I'll always use a primer. I have a whole list of primers that I juggle depending on my mood or my skin concern. Wow, that's a difficult question! It would be unfair to try answer that considering how many palettes I have... My favourite type of shade is a golden/bronzy/brown or a taupe-y brown. Not too shimmery, but also not completely matte. 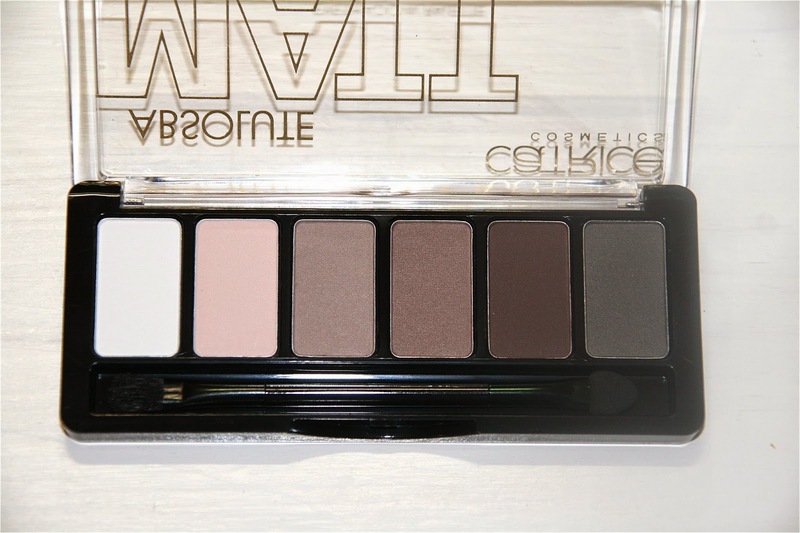 The shades "Half baked" and "Smog" from the Urban Decay Naked I palette are perfect examples of this. None. I'm busy easing into it, but I'm always unsure of if I'm doing it right! I don't want to end up looking like an extra in a horror movie. Stunning, but so messy! I'd rather leave it to the professionals. The only one I can think of is Revlon's mineral powder makeup in summer. MAC Syrup or Revlon ColorBurst Lip Butter in Berry Smoothie. I don't have a favourite lipgloss as I tend to wear lots of different ones. I like the Maybelline ColorSensational glosses, as well as the Bourjois 3D Effet ones. I also like the Tanya Burr lipglosses but find that they can apply a bit streaky. Benefit Coralista, NARS Angelica, Cargo HD highlighting blush in Pink, Stila Custom Color blush in Coral, there are many! I mostly buy it in store, but for overseas orders I like Feel Unique, Look Fantastic, and Beauty Bay. We basically only have Dischem and Clicks. As far as brands go I love L'Oreal, Revlon, Maybelline, and Bourjois. Yes, but I haven't gotten round to it! Eyebrows that are either super super fine, or eyebrows that make the person look like she's permanently surprised. I stick to neutral colours on my eyes, but for lips it's an anything-goes situation. I'm actually currently working up the courage to wear a plummy purple lip for winter. Powder for my oily T-zone. Yes and I have, but I prefer to at least have *something* on. I haven't tried anything from it yet, but judging from overseas beauty bloggers, I would have to say Charlotte Tilbury. I hate that society still sees makeup (and people who wear it) as shallow and vain. Makeup to me is not about covering yourself up or putting on a mask, it's about expressing your creativity and accentuating your best features. I love reading about makeup, buying makeup, and doing my makeup every morning. It's like I get to be creative and use my face as a canvas, and I don't see anything wrong with it. If you decide to also do this tag, let me know as I'd love to read your answers! I do love a good facial cleanse, and what better way to do it than with a nifty little helper? 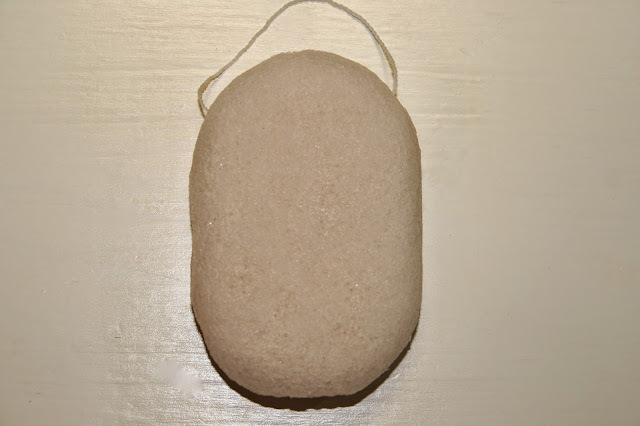 A few months ago I used a Konjac sponge that I received from my friend, but after a few months I had to throw it away (you're only supposed to use it for three months). I was ecstatic when MIRA Dynamics contacted me a few weeks ago and sent me three sponges* to try. 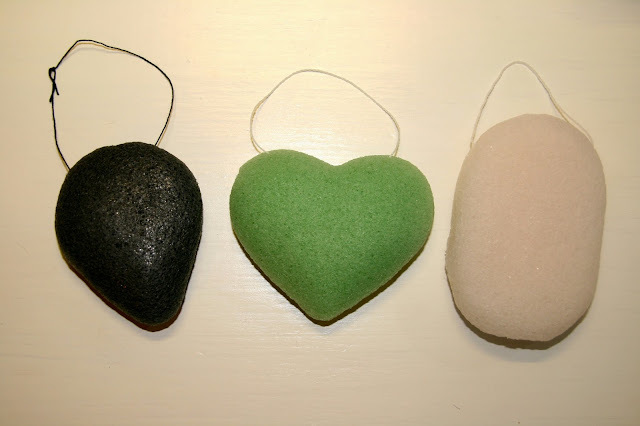 All three sponges are for different skin types, and come in different colours and shapes. I didn't find that any of the sponges worked better than others, but I enjoyed using them all. The sponges are all 100% natural fibre and are made from the root of the Konjac plant. You wet the sponge in warm water until it is soft, then you squeeze out the excess water and apply a drop of cleanser to it. You proceed to wash your face in gentle circular motions with the wet sponge. Afterwards you rinse your face with warm water as well as rinse the sponge out with clean water. Hang the sponge up to dry somewhere where it can get a bit of air and maybe some sunshine. 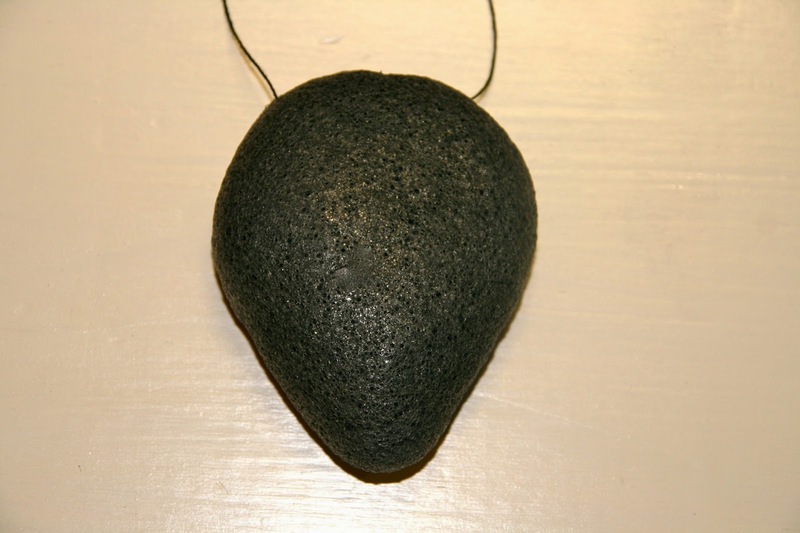 The sponge for oily skin is black and in a teardrop shape. The sponge for normal/sensitive skin is in while and in the shape of a pebble, and the adorable green heart-shaped sponge is for damaged skin. I prefer these sponges for my morning cleanse, as I don't want to transfer the day's makeup to my sponge. If I do feel like using it at night, I remove my eye makeup beforehand and use a gel cleanser instead of my usual balm or oil cleanser. You can use the sponge as is with water or with a cleanser, but I prefer to use it with a cleanser as it makes your cleanser work harder. I enjoyed using the sponges, but I didn't like their shapes. I found it difficult to hold them in my hand, especially because they were quite thin. I would have preferred a slightly smaller, but thicker sponge. That being said, the sponges left my skin feeling soft and smooth and looking clear and bright. There were no irritation or rashes or breakouts. You can get these from MIRA Dynamics' website, and I see they now have a whole new range of sponges to suit a variety of skin conditions. They sell for R99 a sponge which I think is incredible value for money, especially seeing as this basically replaces your cleanser for three months. Have you ever tried these sponges? Let me know in the comments section! 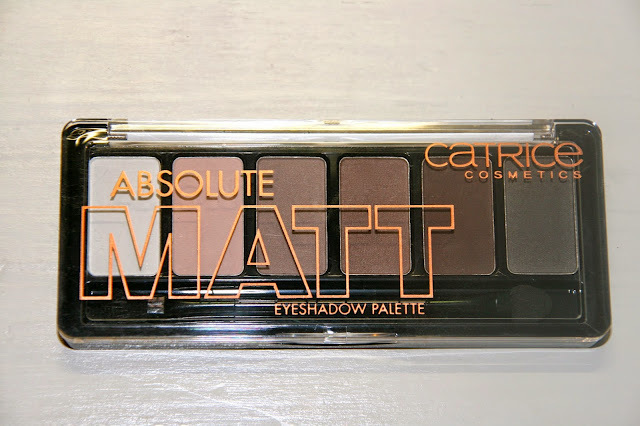 I love a good drugstore find, and many of my best budget favourites come from Catrice. 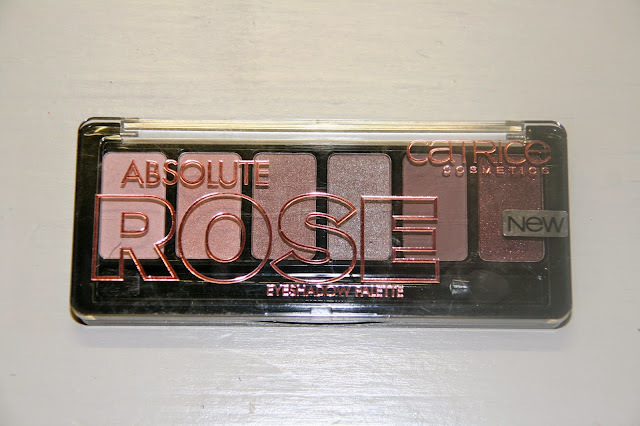 If you've never bought anything from Catrice, do yourself a favour and go to Dischem. They're like the more grown-up version of essence, and, in my opinion, more suited to the young (working) woman who is on a budget, and isn't a teeny bopper anymore. They constantly bring out new products and new shades of old products, and they also have limited edition collections. 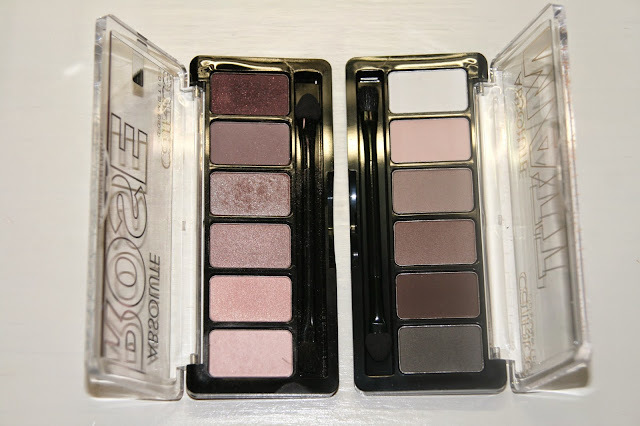 Today I'll be showing you two of their new eyeshadow palettes. When I saw the shade selection of this palette, I knew I had to have it. I actually wanted to buy the Matt one as well, but it was sold out. Which made me want it even more! The colours range from a light pastel pink to a sultry and shimmery plum. The eyeshadows are mostly shimmery, but nothing that makes you look like a disco ball. There is one matt shade which is a dusty light grey-purple. The lightest shade, the light pastel pink, contains very fine glitter, making it look almost matt. The three colours in the middle are the perfect rose gold/champagne pink shades. The shadows are butter soft (especially the matt shade) and colour payoff is excellent. With a primer these shadows last eight to nine hours without creasing. This palette is amazing value for money and is one of my latest favourites. I had very high hopes for this palette, as it is difficult to find an all-matt drugstore eyeshadow palette. The colours range from white to a dark slate grey. The white colour looks a bit out of place with the rest of shades in the palette, in my opinion. There is a light baby pink and three browns of varying shades. I personally like these three the best. These shadows are also buttery and soft, but unfortunately the colour payoff is disappointing. Swatching it with my fingers yields a nice payoff, but with a brush I unfortunately cannot say the same. I really like the colours in the palette, so I will continue using this, maybe it's just the top layer of the shadows that are a bit hard. 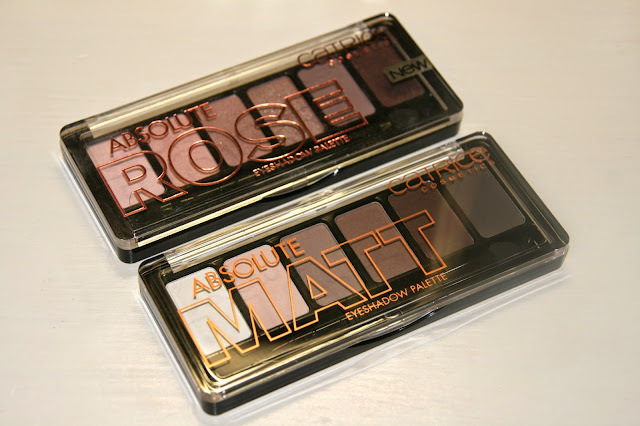 If I had to choose, I would choose the rose palette as it's the palette with the best shade choices as well as the best colour payoff and longevity.You can buy these palettes at Dischem for R79.95 each. You don't need them, but at R79.95 each, you can afford to experiment. Have you tried any of these palettes? Let me know in the comments section! Being a beauty blogger means that you are usually drowning in beauty products. Yes you get sent some awesome things to try, but you also spend way too much money each month on new and exciting things. To me, the best measure of how good a product is, is if a beauty blogger would spends her own money to repurchase it. Well that and positive "empties" reviews. Seeing as I've done quite a few empties blog posts, I thought I would do a blog post about repurchases and backups. 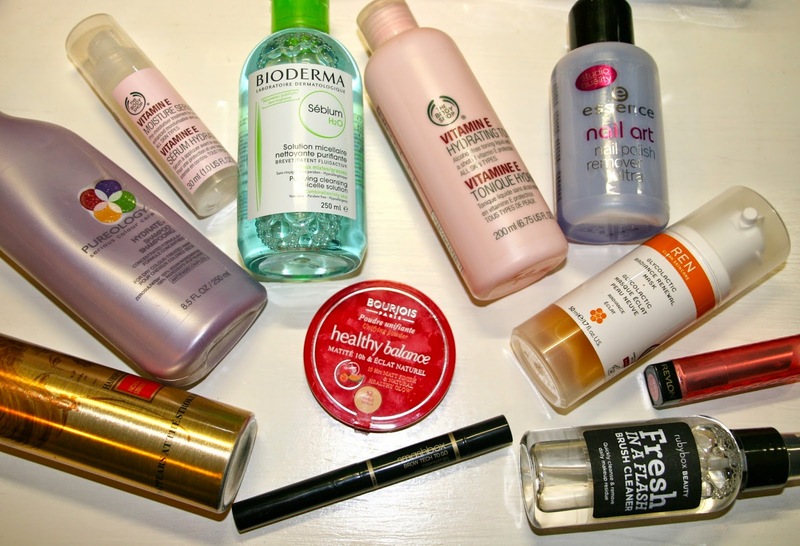 These are all products which I'm using at least a second bottle of at the moment. All of these products have been purchased by myself as I truly believe in each and every one. 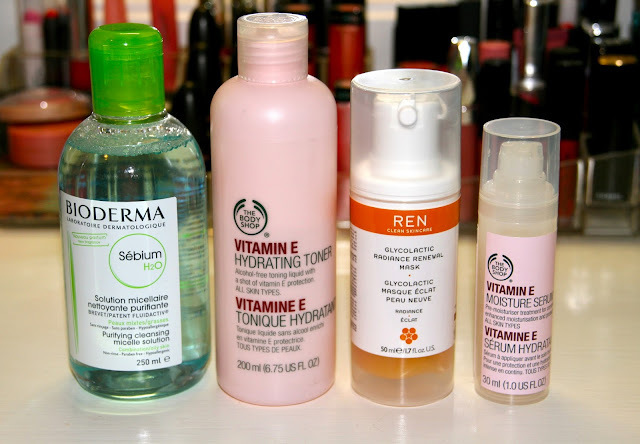 The Bioderma Micellar Water (both the pink and the green bottle) is my holy grail makeup remover. I have used many of these bottles and I currently have about four full bottles as backups which I bought on promotion. Both of the products from The Body Shop I have repurchased countless times. The Vitamin E Hydrating Toner is a fuss-free and super affordable product, while the Vitamin E Moisture Serum offers skin softening hydration as well as being travel friendly. The REN Glycolactic Radiance Renewal Mask is expensive, I won't lie, but me having repurchased this should tell you how much I love it! It's a chemical exfoliator and smells like marmalade, while having the consistency of thick honey. It leaves my skin clear and blemish-free. 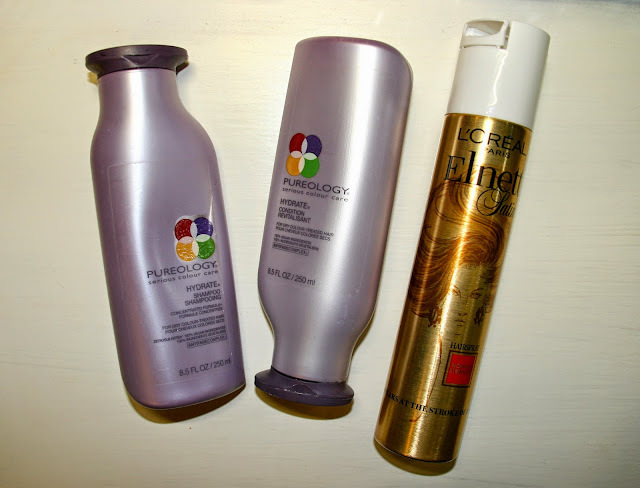 I have spoken about the Pureology Hydrate shampoo and conditioner many many times before. I will probably repurchase this combo until I don't have any hair left. It's not cheap either, but it is so worth it. As for the L'Oreal Elnett Satin hairspray: this is the only hairspray I've been using since cutting my hair end of January. It's cheap and it does the job. 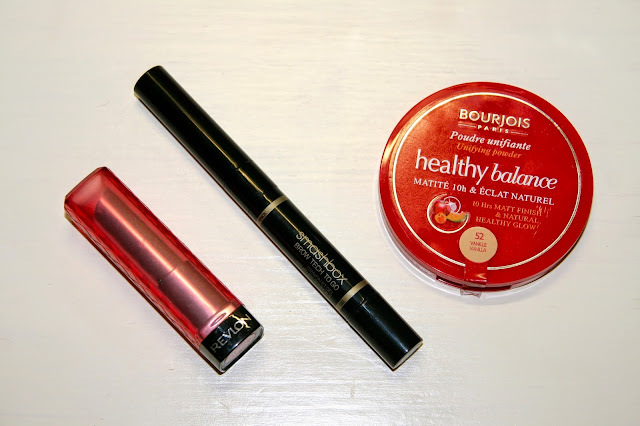 The Bourjois Healthy Balance Powder in "52 Vanilla" has been my go-to powder since purchasing it a few months ago. I originally bought it after seeing Anna from Viviannadoesmakeup rave about it. A few weeks after I bought it Clicks had Bourjois products on a 3-for-2 sale, so I bought a couple of backups of the powder. The Smashbox Brow Tech To Go eyebrow pencil in the shade "Taupe" is also a repurchase of note. 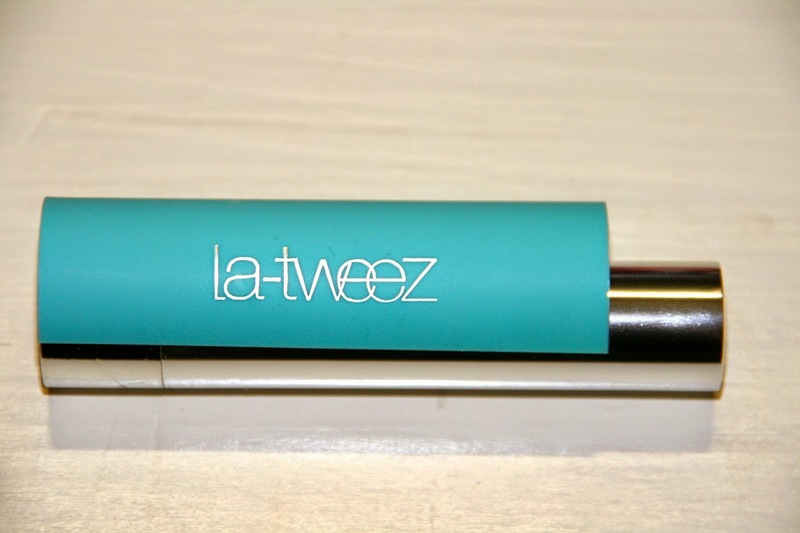 For a long time it's been the only eyebrow product I've been using as the colour is a good match, it has a pencil on the one end and a mini spoolie with brow gel on the other end, and it's travel friendly. I don't normally repurchase lip products because I already have so many, but I really love this Revlon ColorBurst Lip Butter in the shade "Berry Smoothie". It's a plummy pink which is incredibly creamy and hydrating. The Rubybox Fresh In A Flash Brush Cleaner is also a product of which I have a couple of backups of. It cleans my makeup brushes amazingly well and only costs R70. It works great for spot-cleaning as well as deep-cleaning the brushes. I tend to only stick to base coats and top coats that I know work. I have yet to find a holy grail base coat, but I have definitely found my holy grail top coat. The Seche Vite Fast Dry Top Coat contains a couple of nasties, gets gloopy after a few months, and is quite expensive to purchase in South Africa, but it's the best top coat I've ever used. It's thick and gives your nails an incredible gel-like shine. It also dries in an instant. When you've painted the 10th nail, the first one is dry already. And when I say dry I mean scratch-in-your-handbag-for-your-car-keys-dry. The two essence products are also things that I have repurchased and will continue to repurchase. 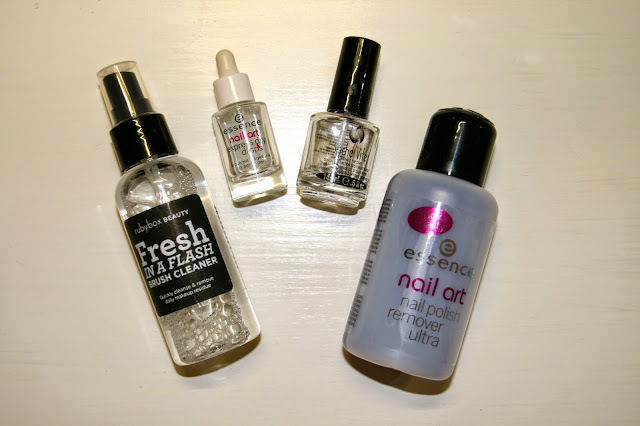 The Express Dry Drops are amazing for drying your freshly painted nails, and I find using this together with my Seche Vite is a winning combination. The Nail Art Nail Polish Remover Ultra is an industrial strength polish remover and even removes glitter polish in a flash. Another bonus of these two products is that they are dirt cheap too. Which products do you keep on purchasing and keep backups of? Let me know in the comments section! My second unboxing for the week is courtesy of Retail Box. I enjoy their Secret Boxes as they are truly good value for money. I've never bought a box and thought, "Oh wow, this is disappointing!". They don't let you customise your box, but they give hints as to what is in the box so that you don't end up buying something that is completely wrong for your hair type. The Secret Box #11* was launched a few days ago and the folks over at Retail Box were so kind as to send me one to review. 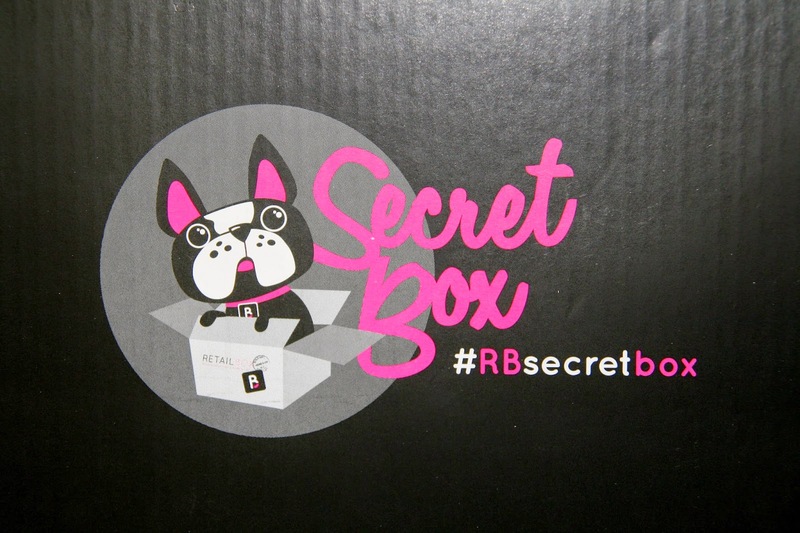 The eleventh Secret Box contains a host of goodies, amongst others two full sizes products. The shampoo and conditioner are from a newly stocked brand, label.m, and the hairbrush is from Kent. 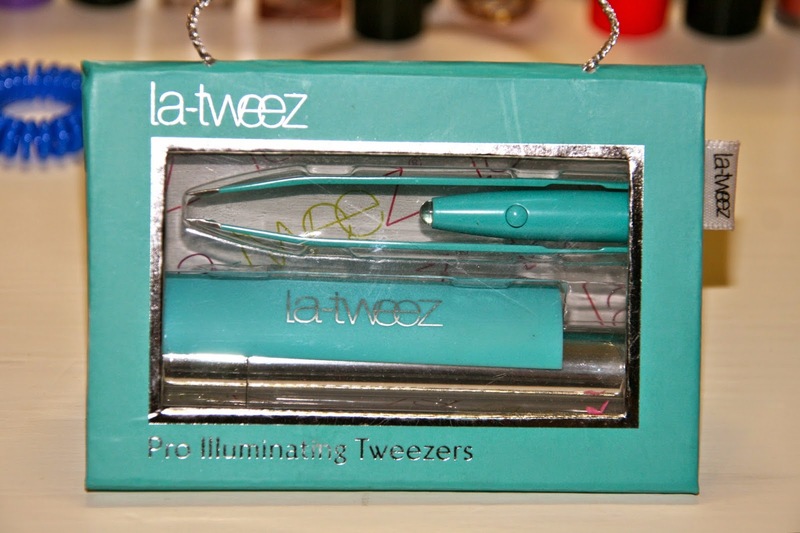 The spotlight-item of the box is definitely the La-Tweez Pro Illuminating Tweezer. I have been eyeing this for a while and I was in dire need of a new tweezer, so this came at just the right time. They've also included a bright blue Invisibobble. I love Invisibobbles and I have many, but I haven't seen this colour yet. 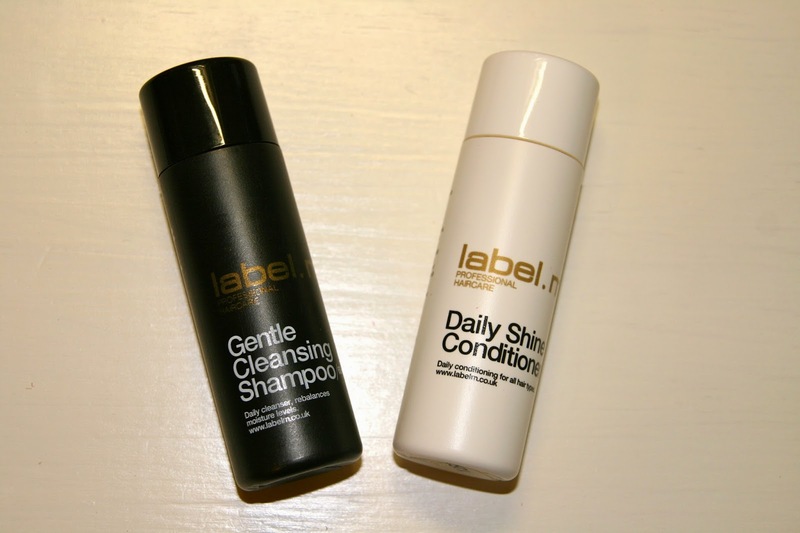 The label.m Gentle Cleansing Shampoo (100 ml) is gentle enough for daily use and contains soy and wheat proteins, as well as vanilla, Sweat Pea, and currant to boost body and give your hair amazing shine. This retails for R210 for 300 ml and you can buy it here. The Daily Shine Conditioner (100 ml) smoothes and detangles, all while keeping flyaways at bay. It combines wheat and soy proteins as well as white tea, melon, and Echinacea. This retails for R260 for 300 ml and you can buy it here. 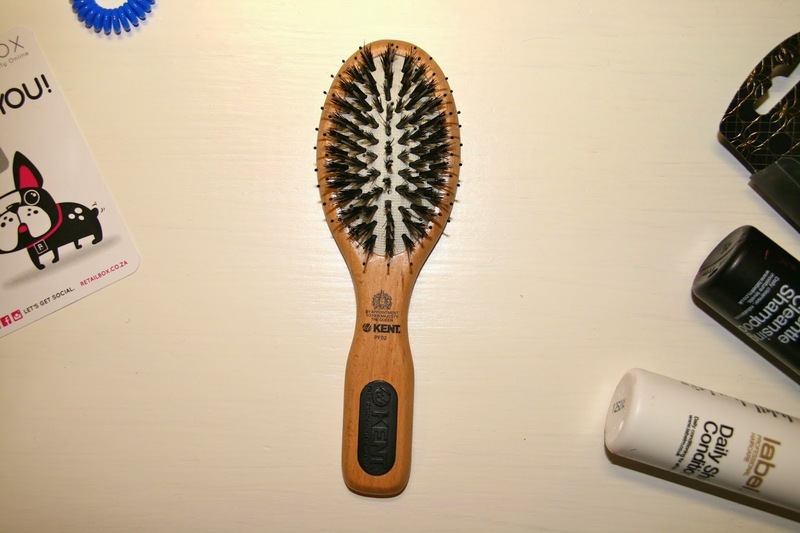 This super cute hairbrush has a wooden handle and is perfect for smoothing and straightening your hair. This retails for R149 and you can buy it here. This nifty little gadget is made from stainless steel and has hand filed tips. It has an ergonomic design to fit snugly in your hand, and a bright LED light that perfectly illuminates even the tiniest hairs. 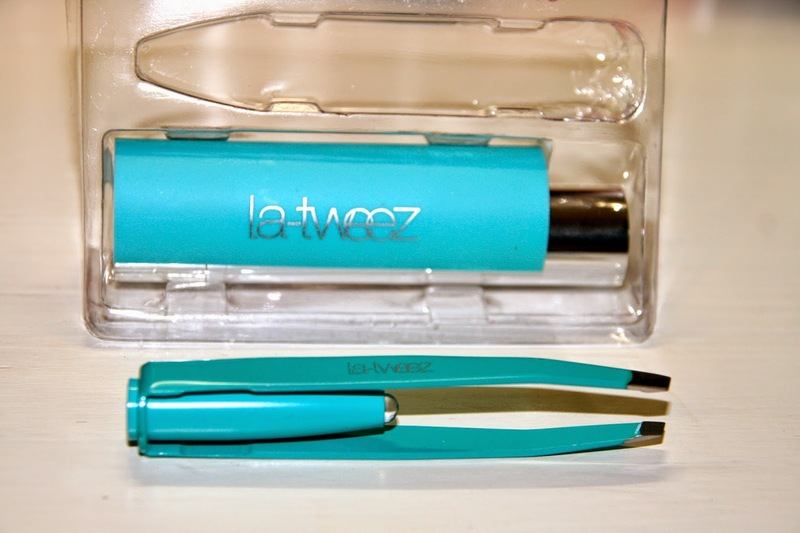 It also comes with a cylindrical little carry case to protect the tweezer. 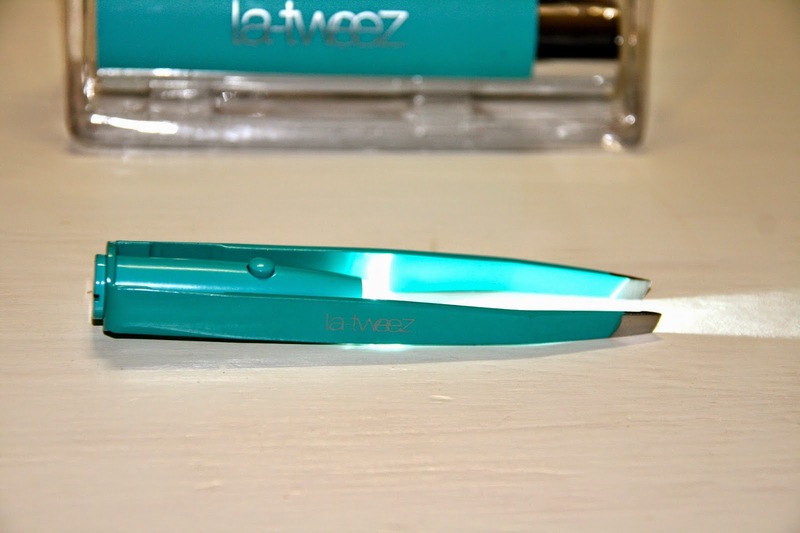 The tweezer comes in six different colours (I received cyan) and costs R250. You can buy it here. All this costs R169, which is a bargain considering that the tweezer alone is R250. If I were you I'd go order a box NOW as I have a feeling they are going to fly off the shelves. I've decided to proclaim this week a "Good Hair Days" week here on Suzy Q-tip. I will be reviewing two haircare boxes this week and you can decide if you want to order both, just one, or none. Today I will be reviewing another great hair box from the folks over at The Test Box*. 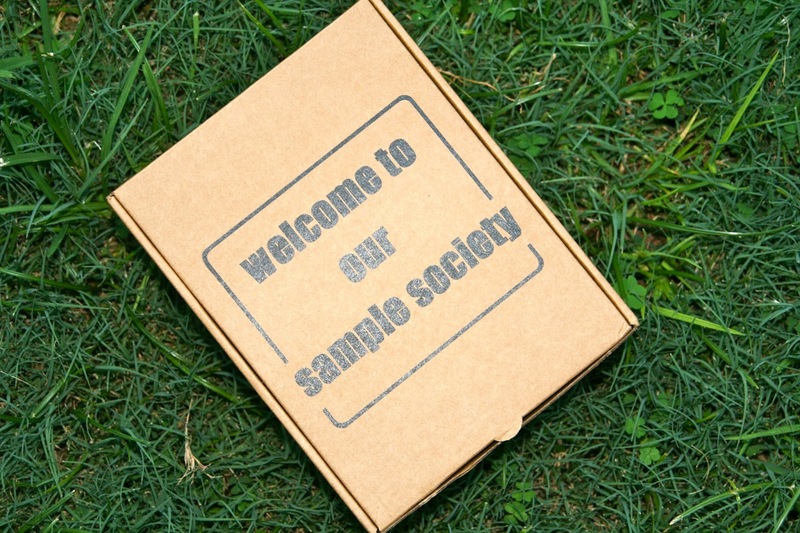 I've spoken about their Test Boxes a couple of times, but May's offering is a bit different than usual. 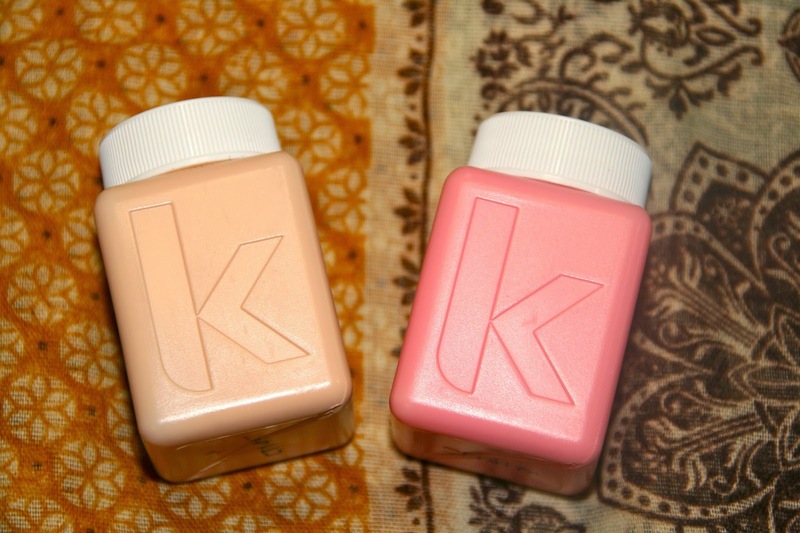 This month is all about plumping up your hair with The Test Box and Kevin Murphy. 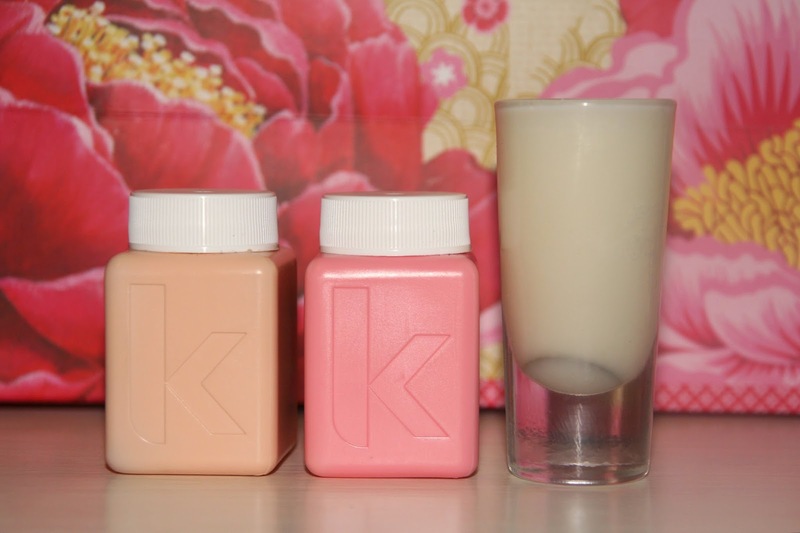 I've never tried Kevin Murphy shampoos before, but I've fallen in love with the little dinky "milk carton" shampoos and conditioners! All the Kevin Murphy shampoos and conditioners are colour coded, which helps when you have to bend down in the shower to grab a shampoo (and usually grab the conditioner by mistake). The plumping range has powder pink and pale pink packaging. The plumping wash is a thickening shampoo that contains ginger root and nettle extracts to add oomph to fine hair, leaving both hair and scalp feeling revitalised and refreshed. The hair follicles are nourished, and the hair is thickened over time. The shampoo adds softness and shine, all while stimulating blood circulation in the scalp. It is free of sulphates and parabens, so perfect for colour-treated hair. This retails for R410 for 250 ml and can be purchased here. The plumping rinse is a thickening conditioner containing Hemsleya Root and Oleanolic Acid. It nourishes and restores the hair, making it thicker and stronger. The benefits of using this conditioner include hydration, strengthening, maintaining the hair in the growth phase, thickening, plus helping to prevent hair loss. This retails for R410 for 250 ml and can be purchased here. Although I can't vouch for the thickening aspect, the shampoo and conditioner did leave my hair incredibly soft and bouncy after the first wash already. Both products smell delicious, and fill the bathroom with their lovely scent. The value of these two 40 ml bottles are R100 respectively. The Body Candle is a massage/intensive moisturiser candle made from soy wax and a blend of oils such as Shea and cocoa butter. They say you should light the candle before getting into the shower or bath and by the time you are finished there will be enough liquid oil to use as an intensive moisturiser. It is apparently very good to use on the bust area as it keeps the sensitive area well-hydrated and firm (soy has a firming and an anti-ageing effect on the skin). The melting point of soy is just a few degrees above body temperature, so you won't burn yourself. This retails for R100 for 110 g and you can buy it here. 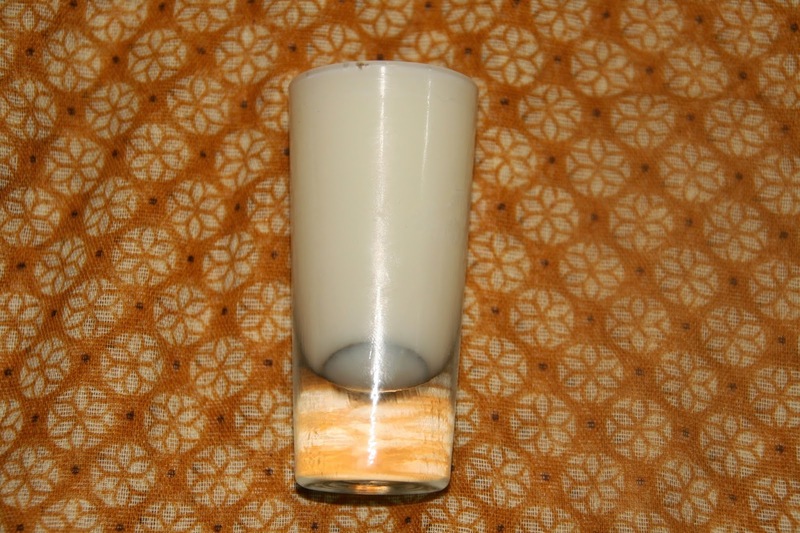 The liquid oil begins to form about half a minute after lighting the candle. The warm oil did sting a little as it came into contact with my skin, but disappeared instantly as I started smoothing on the oil. It's not greasy, but I would keep this for a night time treat. It smells very familiar, almost like clean laundry. The one suggestion I would like to make is that the candle needs a little spout. I know candles don't have spouts, but that would make the pouring much less messy, as I find that the shot glass is very greasy after pouring out the oil. The value of this mini candle is R40. The total value of this box is R100 for the shampoo, R100 for the conditioner, R40 for the candle, and R60 for delivery. That amounts to a total of R300, while you will only be paying R140. You can order your May Test Box here.